Now I am hardly the one to be spotted in a Starbucks lineup but when they launched the Hazelnut Macchiato, I had to succumb. I suppose it is the intention to actually make people wait so that they would start scanning the display case. With two others in front of me, I had enough time to go through the selection four times and finally settled on a cinnamon chocolate crumb coffee cake. I had enough time to actually debate it not once, not twice, but three times in my head. Yikes! And that was before the coffee. The cake was good but I kept on thinking about the other one, you know.. the one that lost to the ubiquitous chocolate loaf.. It was a pretty golden cake punctuated with colorful reds and purples with a rocky crumbly brown topping. It haunted me for two days until I hunted down a good recipe and made a large batch, enough to keep. I can truly say this turned out darned awesome. 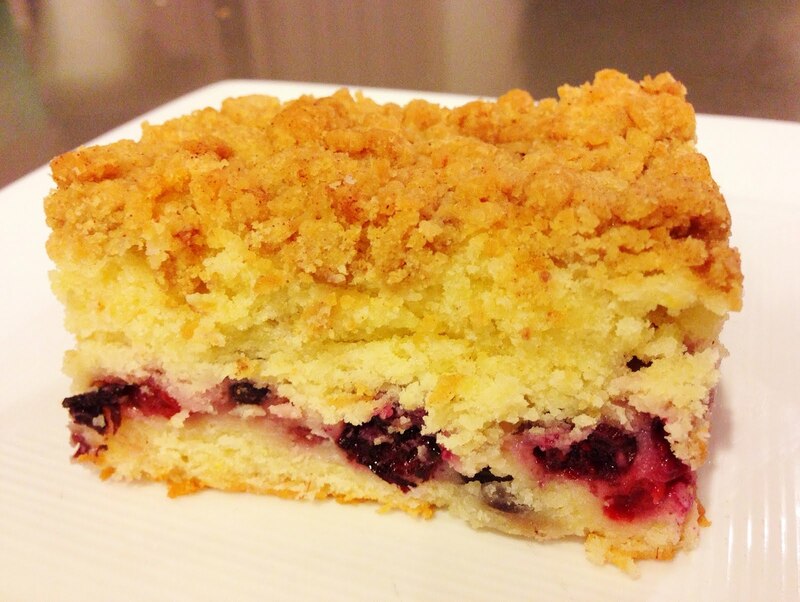 Moist cake with fresh berries bursting in your mouth only to be balanced by the slight crisp of the crumb topping. Maybe even better than Starbucks'? 1. Preheat oven to 350 degrees. Grease bottom and sides of a 9x12 inch pan with butter. 3. Cream butter and sugar until light. 4. Add eggs one at a time and beat until fluffy. 5. Add vanilla, lemon zest and sour cream or yogurt and mix well. 6. Alternately, add flour mixture and the milk to the batter, beginning and ending with the flour. 7. Spread half of the batter evenly into prepared pan and smooth the top. 8. Scatter well drained berries on top. 9. 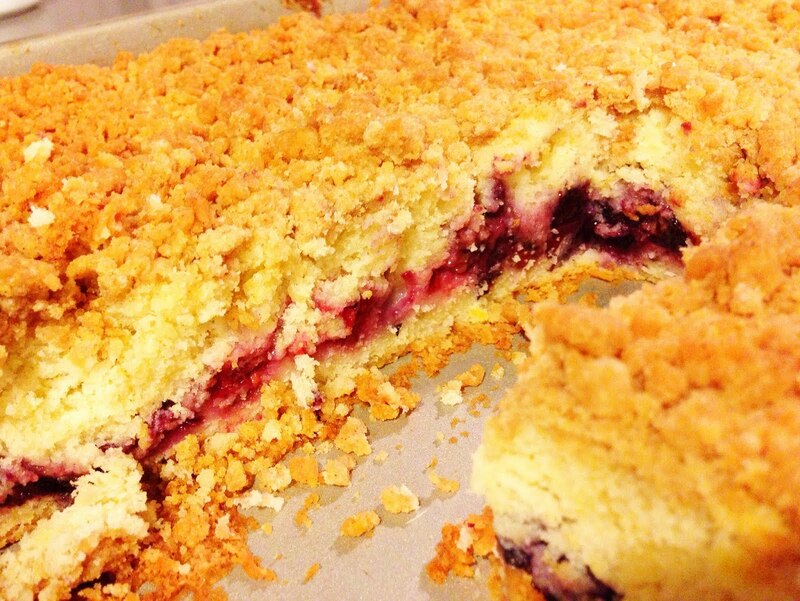 Cover berries with the remaining batter and even out the top. 10. Combine all ingredients and pinch them with fingertips to make crumbs. You may need a little bit more sugar and flour depending on .. humidity? I had to almost double the dry ingredients this time. 11. Spread on top of cake and bake for 30 to 35 minutes or until it passes the skewer test and cake is golden brown. 12. Cool cake completely in pan on wire rack. 13. Wrap in plastic wrap and refrigerate overnight. This helps bind the berries with the cake and keeps it moist. 14. Cut into squares or bars while still in pan. 15. Serve at room temperature with tea or coffee.